Feeling very grateful for all the awesome music going on this year. Danny was on the road all summer with Ben Harper doing shows all over the world and now the studio is booked with sessions every day through he end of the year. We’ve had Chris Collingwood from Fountains Of Wayne and Potty Mouth in. We made a really cool power pop record with The Glad Machine that’s making some noise out there. We have Stryper in making a new record. It’s great having the guys in from the west coast for some loud guitars and lots of laughs. We’re making a classic 70’s big band record with Yes Darling (Ryan Montbleau and Haley Jane). Tracking the record to tape with live guitar, piano, upright bass, drums & vocals and then we’ll be adding real strings and horn section. We have color way coming in for a new record and the new Matt Hebert record (which we’re in love with) will be mixed shortly and ready for a March 2018 release as well. Lot’s to look forward to in 2018. Check out our new web series, Pamper The Band, featuring our favorite awesome indie rock bands, interviews and live performances here at SpiritHouse. Episode 2: Featuring And The Kids. Watch for episode 3 coming in October. We've had some really great records being made at SpiritHouse recently. We just got done with the new Martin Sexton record which came out amazing. That will be out in the winter 2015. 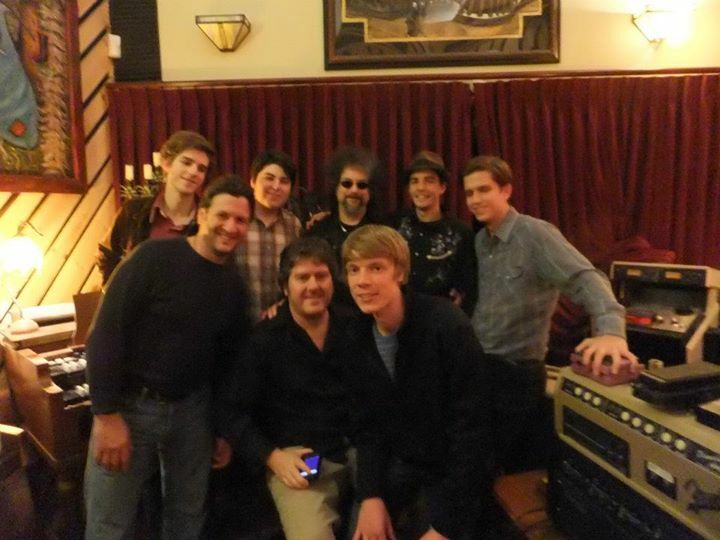 We recently had Michael Sweet and George Lynch in, with their whole LA crew to make the Sweet/Lynch project record. That was a blast and we're looking forward to that coming out on Frontier Records in 2015. We're in the middle of a new record with Ryan Montbleau that is going to be awesome, LuxDeluxe was just in making their killer new single which will be out in Feb 2015, The Fawns was just in recording basic tracks for their upcoming record, Big Box Builder is in the mix mode with their power pop gem and most recently we had Aaron Lewis in tracking 5 new tracks. All great stuff going on around SpiritHouse. Stay tuned to SpiritHouse happenings. Lots of really great stuff to come in 2015.